The year 2018 has almost reached its fag end. The lights of festivities are about to get lit up within a few weeks. It is time to start taking proper measures to brighten up your smile. After all, your beautiful smile in the upcoming holiday album should make a lasting impression in everyone’s mind. A renowned cosmetic dentistry expert in London shares tried and tested home remedies on whitening your teeth. Strawberry: Mash up a strawberry and add a tiny spoon-full of baking soda to it. Rub the mixture on your teeth for about five minutes and then rinse the mouth thoroughly. 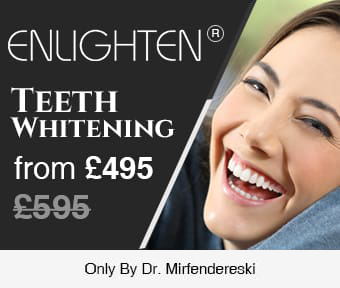 There is another excellent therapy to whiten the teeth at home. But then again, this mixture is highly abrasive in nature, and you must use this with caution. ACV rinse: Our expert for professional teeth whitening in London suggests, apple cider vinegar or ACV rinse as another terrific homely remedy for teeth whitening. Mix one part of ACV with three parts of water and add the mixture with your regular toothpaste to brush the teeth. This mixture possesses incredible stain-busting power. Charcoal paste: Activated charcoal is an excellent detoxifying agent. It also stands as a superb teeth whitening ingredient at home. Just mix activated charcoal with little water and apply the mixture gently on your teeth. Leave it for two seconds and then rinse the mouth thoroughly. The effect will show on its own. Banana peel: Banana is rich in metals like magnesium, potassium, manganese and others. Its peel is also equally rich in those same minerals. Take a ripe banana and take out its peel. Rub the inner side of the peel on the teeth for about two to three minutes. Then rinse and repeat the procedure. Your enamel will get a healthy whitening effect for sure. Follow these tips, and in case, you want more information, feel free to contact Wimpole Dental Office.